TLDR? Vitamin B-12 deficiency is a common problem worldwide. This deficiency is linked to low energy and poor health. If you’re in the market for an excellent B-12 supplement, I highly recommend Global Healing Center’s own VeganSafe™ B-12. This supplement is made from 100% vegan sources and contains the most bioactive forms of B-12. Want to know more? Watch the video or read below! Hi everyone. 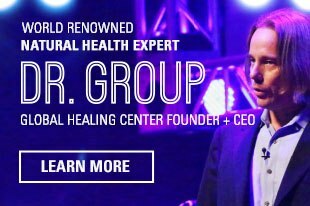 I'm Dr. Group with Global Healing Center, and today I'm going to talk about one of my favorite nutrients which is B-12. So the presentation is basically going to be, "Why every single person, well the majority of people, I feel, need to be on a B-12 supplement?" 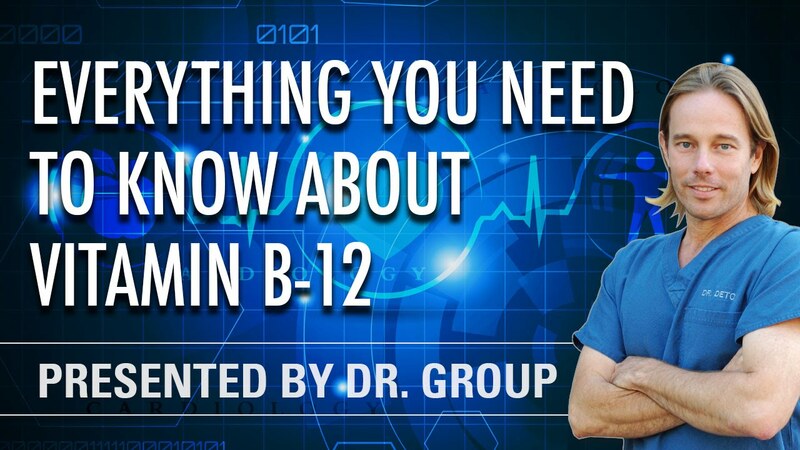 And everything you need to know about B-12. So I'm happy you're joining me today, and today we're going to talk about what I consider again one of life's most important nutrients. Most people know B-12 is a vitamin that supports their energy levels, but there's a lot more to this vitamin than just supporting your energy levels. B-12 is essential for your brain, your nervous system, your heart, your mental health and so much more. Unfortunately if you don't get enough B-12 your health is going to suffer many things and your body is going to suffer. The statistics show that an overwhelming majority of people worldwide simply don't get enough B-12, and most adults over 50 according to studies but I think even adults over the age of let's say 25 or 30 have problems absorbing B-12. So getting enough B-12 in your diet alone can be a challenge, and if you follow or you're thinking about following a vegan or vegetarian diet, you probably been told that it can leave you especially vulnerable to a B-12 deficiency. But I'm telling you that, that's not really the case. B-12 deficiency can affect anyone, not just vegetarians and vegans but also believe it or not most meat eaters are deficient in B-12. Some of the more common symptoms of B-12 deficiency include fatigue, irritability, feeling ran down specially in the afternoon, never having any energy, memory loss, depression, pale skin, brain fog, mental cloudiness, even weird things like burning sensations, muscle cramps, bleeding gums, slow reflexes, all of these things are potential indications that a B-12 deficiency is affecting your body. The good news is that all those problems are completely and easily avoidable. If you pay attention to your nutritional needs and you know what to do and supplement with a good B-12 supplement. That's what we're going to cover today. Every single thing you need to know about vitamin B-12. So first of all, I'd like to discuss what exactly is vitamin B-12. B-12 is not created by plants or animals, it's actually created by soil based bacteria. You might even say it's similar to a probiotic. The term B-12 is actually a catch all used to describe a group of vitamins known as "cobalamins", and there's four types of cobalamins. There's methylcobalamin, adenosylcobalamin which are the two cofactors of B-12, and then there's hydroxocobalamin, and then there's cyanocobalamin. Hydroxocobalamin is the one the pharmaceutical companies have patented and usually that's used as an injectable form of B-12. So methylcobalamin is one of the cofactors of B-12 and is one of the two better forms or the best forms of B-12, specially when it's combined with the other co-factor which is adenosylcobalamin. These are the only forms of B-12 that are already broken down that your body is able to absorb almost instantaneously and use. Methylcobalamin is also really good for your heart. As a matter of fact, one study found that methylcobalamin was effective at lowering homocysteine levels. High homocysteine levels are associated cardiovascular disease. Adenosylcobalamin is the other cofactor form of B-12 and the second active form of B-12. Then you have hydroxocobalamin and cyanocobalamin. Hydroxocobalamin isn't bad but the methyl and the adenosylcobalamin are way better for your body to take in. Cyanocobalamin is the one you want to avoid, it's basically cobalamin bonded with cyanide and commercially produced. This is the type of B-12 that is produced by bacteria fermentation for the purpose of low cost, cheap vitamin and food fortification. This is the kind of B-12 that people fortify and all the different types of food, cereals and stuff like that out there at conventional grocery stores, it's the one that's really bad for you. If you start looking at B-12 supplements, it's the one you see cyanocobalamin in the majority of probably 99% of the B-12 supplements out there contains cyanocobalamin. One easy rule is if you see cyanocobalamin in something, you know that company is not a good company so don't buy their nutritional supplements, don't buy their foods or whatever. It's just a very low poor quality. So let's talk about why B-12 is actually very important for you. I can't stress enough B-12 plays a huge important role in your body. It impacts everything from your energy levels to the way your brain functions. Your nervous system and brain neurons actually rely heavily on B-12. In fact, people that have a mass multiple sclerosis or als Lou Gehrig's, ALS need extra vitamin B-12 supplementation because it helps protect the myelin sheath surrounding the nerves. B-12 and folate also work together to create healthy blood cells. B-12 helps with melatonin production that can impact your sleep, your mood quality. B-12 involve with serotonin production which can help supports your mood. B-12 contributes and support your thyroid health. We see people, I mean practically the whole world is having problems with their thyroid now and it's because B-12 deficiency, it's also because of iodine deficiency. B-12 helps support your immune system, also male fertility suffers from a lack of vitamin B-12 and that was actually a study done at the University of Maryland Medical Center. The Linus Pauling Institute and Oregon State University found that low vitamin B-12 correlates with an increased risk of breast cancer. There's even evidence that suggest that high vitamin B-12 administration can help protect against brain atrophy and destruction. Something that could be really important as you grow older especially with dementia and Alzheimer's care. So it actually helps support the brain and might even help prevent some of those damaging dementia, Alzheimer's, Parkinson's diseases which are nothing more than just toxic chemicals and heavy metals that have accumulated in the brain, but the B-12 can help to protect those brain pathways from degradation from the other toxins. B-12 also supports energy levels, your endurance that's why it's great for athletes to use it. It works by supporting your cellular function and this directly translate into more physical energy. So here's the bottom line, with so many systems in your body relying on B-12, if you don't get enough you're setting yourself up for B-12 deficiency and a long list of health problems. So I want to get in to B-12 deficiency but before we do, it's going to help if I first describe exactly how your body processes and absorbs B-12 because this is one of the big problems that I found when doing research on B-12. By the way, I was not the kind of person that I thought people needed B-12 all the time, but so many people started writing in and saying, "Well, you're not recommending B-12. We all need B-12. What's going on?" So I actually had to take three months and do extensive research in the B-12 and I was actually amazed of what I found. I mean, because I really don't like to recommend a lot of things to people, I'm more into if you cleanse your body, you keep your body clean on a regular basis, you can act– keep yourself healing mechanism activated, obviously avoiding all the junk foods and stuff like that. But what I have to say is everybody was right. The conclusion of this research or summarized– I'm going to summarize all my research during this presentation today and hopefully you'll see the same thing that I saw, and I started taking B-12. I actually developed a B-12 supplement because I wanted to take a B-12 that had the methylcobalamin and the adenosylcobalamin, and it was GMO free and vegan friendly, vegetarian friendly and everything like that. Now there's a bunch of B-12 supplements out there and this is not an advertisement for my B-12 supplement, it's just good information that everybody needs to know because still today, I don't know everything about everything. I mean you still find out things and with the world evolving and changing, you still find some things that you're not going to get through the food supply like I talk a lot about iodine which we have iodine receptors and vitamin D, those are all things that I think everybody needs to be on. So how does your body actually absorb and process B-12? Well first we have to understand that our bodies do not make B-12. The only way to get it is through our diet. Now this is the case with most vitamins. 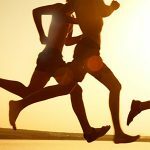 However, most vitamins are water soluble and easily absorbs but B-12 is different and it requires that your digestive system is working properly which most people's digestive system are not working properly, and this is what lead me to the conclusion that we all need to take or supplement our system with B-12. When you consume B-12 through foods, it goes through a lengthy digestive process that begins in your mouth. When you chew up your food, it mixes with saliva. Although most people don't chew their food properly until it's a liquid before they swallow it. The saliva actually contains proteins that protect the B-12 from gastric acid in your stomach. Another thing about your stomach, it's lined with cells that are called parietal cells. The parietal cells secrete hydrochloric acid which help with protein digestion, but they also secretes something called intrinsic factor and this is they key when you're talking about B-12. Intrinsic factor is actually a carrier for B-12. So when you swallow your food, the saliva protein known as our protein will degrade in the small intestine or the duodenum and it will release the B-12. So it protects the B-12 in the stomach until it gets to the duodenum of the small intestine, and then it releases the B-12. It's right there in the small intestine that the B-12 will bind to intrinsic factor and transport the vitamin through the duodenum and the jejunum into the ileum which has intrinsic factor B-12 receptor. So the ileum actually has B-12 receptors and that's how you absorb them, but the intrinsic factor has to carry the B-12 to the ileum to reach the intrinsic factor receptors. So along the way, it's involved the the synthesis of hormones like melatonin and neurotransmitters like dopamine and serotonin. Now, if you don't have enough intrinsic factor then the B-12 can't bind to it and it can't be absorbed properly. It'll just exit out through your body. Now keep in mind that's a best case scenario. Good B-12 absorption is relying on a lot of different things specially enzymes and pancreatic enzymes like lipase and protease as well. If anyone of those steps is out of balance, you might not be able to absorb the B-12 you need, and that's what we're finding with today's society. All of the toxic foods, the beverages, all the other stuff is that we have a problem with intrinsic factor and actually absorbing B-12. So it might not be that you're not taking it then, it might just be that you're not absorbing it, carrying it and utilizing it properly. This is a big problem for the majority of people and usually the primary cause is not B-12 but not having enough intrinsic factor. Now there's a number of reasons that you might not have enough intrinsic factor. If you have weak stomach acid or you just don't produce enough stomach acid, you might have low intrinsic factor. Sometimes stomach surgery, if you ever have any type of stomach surgery, that can affect intrinsic factor production. If you have gastritis, that can destroy the gastric mucosa which in inhibit intrinsic factor production. Some of the things that most people eat on a daily basis like MSG which is hidden under natural flavoring, hydrolyzed vegetable protein. I mean there's probably 35 different hidden terms for MSG where you would never think you're consuming MSG but you actually are. That has been shown to directly decrease gastric intrinsic factor. So if you're consuming, you're eating out of restaurants, even though you're taking an animal protein and stuff like that that might contain B-12, you're not producing the intrinsic factor that carries the B-12 to the ileum. One thing you definitely need to be careful of and I had no idea about this is mercury. Tap water, water contamination, if you have dental fillings of mercury, all that can leak down into the gut. If you ate fish that contains mercury, high fruit, corn syrup. I mean there's plenty of sources of mercury out there. What happens is the mercury can damage the small intestine and affect not only B-12 absorption but also intrinsic factor production. Another thing that we can link altered intrinsic factor production to is genetically modified foods, specially the GMO foods that contains the BT Toxin which can damage the stomach cells causing them to not produce or alter the production of intrinsic factor, and that also leads to leaky gut syndrome. Gluten is another thing that I would recommend everybody avoid whether you're gluten sensitive or not because now it's been shown that gluten can actually cause an immune response for up to six months straight if you just consume gluten one meal, and those who don't know what gluten is, that's going to be any of your wheat or barley or rye, the majority of the foods out there that are made with any type of wheat are going to contain gluten. So whether you're sensitive or not, we all are sensitive to gluten and it has been shown that gluten causes damage to the parietal cells in the stomach. So again gluten can actually prevent you from absorbing B-12. What happens is your immune system can actually attack intrinsic factor which can be induced by gluten sensitivity, chemicals, plastics, bad food, an acidic environment. When your immune system attacks the intrinsic factor that can cause what's called "pernicious anemia". The causes are enormous, I mean we could talk about probably thousands of different things that you're going to take in through your mouth, air, food, water, beverages, all that stuff because so many people are having gut issues, stomach issues, but the bottom line is any of those toxins that are coming into your mouth can cause an alteration in your stomach, can cause alterations in the acidity level of your stomach, and all that can lead to B-12 deficiency. So let's talk a little bit about B-12 deficiency, I would say after doing three months of research and please do your own research because don't believe everything that I say. I'm just relaying this information so you can use this to start your own research. I would say that B-12 deficiency is a huge problem, and it probably affects close to 80% of the population out there. I say that because believe it or not, even most pets are deficient as what their finding. I mean if you ask your vet, they'll probably going to do some test and find out that your cat or your dog is deficient and that's why most cats and dogs right now are getting B-12 shots. But anyway, B-12 deficiency can produce a huge range of symptoms. Now for most people, the biggest symptom of B-12 deficiency is fatigue, mental fatigue, as well as physical fatigue. They just don't have the energy. They're always feeling drained. If this is you, and sleep and exercise aren't doing the trick to increase your energy, that's probably because you a deficiency of B-12. B-12 can also bring on physical symptoms that can be anything from an upset stomach, shortness of breath, neuropathy, nerve pain, anemia, that's when the blood doesn't have enough red blood cells. Now a lot of people think this only relates to iron deficiency which isn't true. Remember, B-12 is necessary to produce red blood cells, and red blood cells carry oxygen. So if you're low on red blood cells, you're not going to have enough oxygen headed to your brain and your muscles. So muscles need oxygen and poor oxygen circulation can also cause muscle pain. So you can link a B-12 deficiency to many things and ultimately not enough oxygen to the brain can symptoms of mental illness, brain fog and more different types of symptoms. In fact, talking about B-12 deficiency and how it affects the brain and mental health, I touched on it before but quite frankly, anytime you got neurological or psychiatric issues, a B-12 deficiency needs to be considered. Now, think about all the kids and all the people these days that are taking the anti depressants, anti psychotic, ADD, ADHD medications, bipolar medications, anti anxiety medications, I mean personally I don't believe there's anything that mental illness doesn't even exist because I've done the research, all mental illness is caused by some sort of vitamin deficiency or it's caused by too many toxins coming in, chemicals that leads endocrine disrupting chemicals, all that could go up to the brain and cause misfiring of your brain can end up causing mental illness. 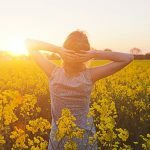 But right now, doing research I actually found out that vitamin B-12 deficiency is involved in many neurological disorders, Alzheimer's, Parkinson's, memory loss, stress, anxiety, depression, an ADD, ADHD, nervous system damage, there's even 400 studies linking B-12 deficiency to anxiety and depression. There was a paper from the journal of nutrition and wellness that reported B-12 deficiency can lead to psychosis, mania, depression, memory loss and memory malfunction and more. So if you're experiencing or if you know anybody that's experiencing depression, mood swings, even sadness, lack of motivation, you need to think about B-12 as a possible cause and make sure that maybe you want to go down and meet with your natural healthcare practitioner or whatever because, "Hey, it's a simple easy remedy that might actually take care of these mental illnesses and prevent you from being on any type of psychiatric or psychotropic drugs which are extremely damaging, and the list of side effects for those is we could do a whole show about that. There's even research to suggest that B-12 deficiency contributes obsessive compulsive disorder. Researchers at the University of Michigan and Tufts University found that vitamin B deficiency may increase the risk of age related cognitive decline including Alzheimer's disease. In some cases, a thyroid disorder like hypothyroidism can combine with the B-12 deficiency and creates symptoms of depression. a lot of things happen with the thyroid in a lack of B-12 deficiency. Just think how many psychiatric ailments can be linked to a relatively simple dietary deficiency, specially iodine, B-12 and vitamin D. Those three are three of the things that I always do, of course I always do complete cleansing with people first but anybody that's suffering from any mental illness clean up their intestines, clean their liver and gall bladders, as a matter of fact traditional Chinese medicine, [SP] a Rovatec, always associate in mental illnesses with liver congestion. So cleansing the liver and iodine vitamin D3 and B-12 might be, I mean I'm not saying it's going to work all the time but it might be something you want to look into for any type of mental or neurological issues. The question is, "Are you giving your brain, your nervous system the nutrition it needs to function properly?" I mean that's the question you have to ask, so it's better not to wait for symptoms of vitamin B-12 deficiency to arise before you start paying attention to, if you need B-12 or not. There's even something called subacute combined degeneration which affects the white matter in the brain's spinal cord when you're B-12 deficient. This is something you want to avoid obviously at all cost since it can affect your neurological function, how you walk and your muscle strength. So think about that, it's much easier to just get enough vitamin B-12 than to have to deal with the symptoms. So then, I went to look into what actually causes a B-12 deficiency? Why are we all B-12 deficient? So it's obviously– Well, obviously B-12 deficiency is caused by not getting enough B-12. That's what most people are thinking anyway. Well, you didn't get enough B-12 in your diet that's why you're deficient. However, the real number one reason most people are B-12 deficient is because they didn't absorbed enough due to unhealthy digestive system. That is what I realized and that's what a lot of other practitioners have realized. It's not like you're not consuming enough B-12, the problem is you're not absorbing it and your digestive system is messed up. So remember how we talked about the intensive process your body goes through to digest and absorb the B-12? Well, if your stomach or small intestine have any functional or structural damage, you may have trouble absorbing enough vitamin B-12 and other nutrients for that matter. So if you have leaky gut syndrome, food allergy, you're sensitive to dairy or gluten, you might have excessive bloating or gas, if you have harmful organisms in your intestines like parasites that can steal or destroy the B-12 before you even get it. For example, tapeworms are notorious for stealing vitamin B-12 from people. If you eat sushi, I mean I've come to the conclusion also that every single person has parasites. I mean if you're not doing a parasite cleanse twice a year, at least once a year then it's time for you to seriously look into doing that. I mean for example, one square inch of sushi has been found to contain 10,000 to 100,000 larva or eggs of different types of worms, mostly tapeworms. Parasites can lay up to 100,000 eggs a day or maybe even up to a million. So it's just something to consider but any type of gastric problems, any chronic irritation of the stomach lining can result in the reduction or loss of gastric cells. IBS, Cronus disease, also the colitis celiac disease. I mean the list of digestive, our problems goes on and on and on. Really any inflammation or inflammatory bound disease or digestive ailment, if you have any of that there's a strong chance that you're not absorbing enough B-12 or other nutrients for that matter. Don't think that, "Hey," like me I eat a fairly healthy diet. I mean I'm mostly raw vegan most of the time, and why would I have deficiency in B-12, most likely I probably would. Wrong, after reviewing all this research and even eating a healthy diet, I still and I didn't do any test but I still had some of the symptoms of B-12 deficiency and I started taking 2,000 micrograms a day and I've notice a tremendous difference in my overall health just by taking some additional B-12. Some people think well, I eat healthy. I'm exempt from all the problems but that's not necessarily true. I mean, age can be a factor. I'm almost 50 and as you do– I had a horrible diet for probably the first 25 years of my life, 30 years of my life. So that does come into play. I did have digestive problems, that's one of the reasons why I started– I stopped eating meat slowly over a period of time. Wasn't because I was a radical, and I just wanted to say, "Oh I want to be a vegan or I want to be a vegetarian." It's because I grew up for a long period of time on crappy food. I even can remember a time where I was eating TV dinners. I mean, I can still remember everything that comes on a Salisbury Steak TV dinner because I ate it for like weeks on it one time in my life. So even not consuming enough probiotics and lacking of good solid balance of good bacteria in your gut can lead to a B-12 deficiency too. So there's a lot of assorted items that can be problematic factors. Alcohol consumption. I mean alcohol isn't good for the liver and it can cause inflammation to the stomach and decrease stomach acid which can lead to be B-12 deficiency. There's quite a bit of research to show that parietal cell function is dramatically decreased when it's exposed to alcohol. Also the British Journal of Nutrition reported a study that showed coffee intake correlated with low B-12 status. That's people that are drinking probably more than one cup of coffee a day. We have to remember also that 80% of the coffee, the world's coffee supply is heavily contaminated with pesticides and insecticides residue. I personally would probably link the damage to the– not specifically to coffee but more to the pesticides and the insecticides and the herbicides that are causing damage to the parietal cells. I don't like to think anything naturally growing on the Earth if it's organic can really cause that much damage to the body unless it's over used. So stress actually, smoking is another thing, acidic conditions can also destroy B-12. Meat for example which is a source of B-12 is actually very acidic and can destroy the B-12 that it contains. One thing that doesn't get talked about enough is the number of prescription medications that can cause B-12 deficiency. That was very shocking– Well, it wasn't shocking but you know, when you look at all the different things like I was doing it's like, "Okay, let's see. Is this true? Does everybody need B-12?" Well when you look at all the different factors out there that can damage the parietal cells and damage the production of intrinsic factor and can neutralized B-12 absorption, I'm telling you there's a lot of things out there. Some of the things you would never even think about. I mean think of how many people right now and how many children are on one or more prescription medications. If you are, if you know somebody that is, no doubt about it, you're going to be B-12 deficient and you're going to have to supplement B-12 into your diet. Antibiotics, big. This is something tracing back because antibiotics can destroy B-12 and considering that many animals on free lots are raised with antibiotics, cows, pigs and stuff like that. This also might be a reason why so many meat eaters are deficient in B-12, because if you're not eating grass fed, organic chicken and beef and everything organic. I mean even the organic ones still sometimes have to use antibiotics then, you could be thinking you're getting your B-12 from your meet but you're actually not because the animal has antibiotics in it. I'll tell you also with so many people being on– having diabetes and the metformin, a type two diabetes medication, that's been linked to impaired B-12 absorption. So anyone out there have heartburn, okay. If you take acid blockers, watch out because most anti acid, practically all antacids are going to reduce B-12 absorption. I know, living in Houston, we have the oil and gas industry here. There's people that– I mean practically everybody I talked to, men over the ages 30 have a roll of antacids in their pocket, and they pop them like they're candy. They go to two or three rolls of antacids a day. So how on Earth are they going to be getting B-12, they're not. So just be aware, all antacids are going to inhibit B-12, proton pumping inhibitors which are used to reduce stomach acid and manage acid reflux have been linked to a 65% increase risk for vitamin B-12 deficiency, and that was a study published by the journal– JAMA, Journal of American Medical Association. If you've known anybody that's had cancer that have gone through chemotherapy or radiation. Chemo is ultra rough on your whole body for that matter especially the digestive system. It irritates the stomach, the intestines which is terrible because B-12 is specially important for people with cancer. Anyone undergoing chemo should be taking megadoses of B-12 because it's going to help protect some of the normal cells. One thing that I should talk about is how B-12 deficiency affects people following a vegan or vegetarian diet because that's all you hear out there. Well, if you're a vegan, if you're a vegetarian, you're going to be deficient in B-12. No doubt about it. In fact, what I found out is, that is one of the biggest myths about B-12 deficiency, that's it's a bigger problem for vegans and vegetarians than meat eaters. Unfortunately it's pretty common for people to mention to their doctor that they're transitioning to a vegan or vegetarian diet and the doctor jumps all over them and basically says, "Oh, you're going to be deficient in B-12, you're going to be deficient of iron and all that." Aside from the fact that the health benefits from a plant based diet are incredible specially alive plant based diet, the truth is that eating meat isn't some sort of free pass out of B-12 deficiency and meat eaters are just as likely if not more likely to suffer from a B-12 deficiency because people who eat meat are more likely to have the gastrointestinal issues that inhibit the absorption of B-12. Sounds strange but there was a study performed 60 years ago called the Framingham study and it looked at the effect of cholesterol on cardiovascular disease and inadvertently found that many meat eaters were low in B-12. One of the reasons is that the B-12 producing bacteria is heat sensitive and is killed when the animals or is cooked. So this alone is going to make most animals sourced B-12 unusable. So that means, that study proved and with more research coming out– is you can't really even get your B-12 whether you're a vegan, vegetarian or meat eater. Those study from the journal of agricultural and food chemistry that found microwaving foods containing B-12 reduced the vitamin content by close to 50%. So even if you have a little bit of B-12 left in your food and you microwaved it which I highly recommend, by the way everybody throwing out your microwave because microwaves radiate the food. They cause damage to the food and what you're getting is dead irradiated food that you're putting in your body. It's extremely unhealthy and it activates the immune system, and immune system actually has to attack your own food. So we talked about the symptoms of B-12 deficiency and a lot of the health problems. Obviously most people are wondering at this point in time, is there some way to test to see if I have B-12 deficiency? The answer is yes. You can test. There are few ways to check for B-12 deficiency. They are not a 100% accurate but they can definitely provide some clues. The thing to know is that B-12 works in the cells, not the blood stream. So a serum B-12 like a blood serum B-12 measurement isn't going to be totally accurate. But there is something called spectracell test which can determine intracellularly if B-12 deficiency exist and is a better evaluation. You can also measure methylmalonic acid and homocysteine levels to indirectly tell if B-12 is low, but they're not as reliable as spectracell. There are test that can determine if you have anemia also and what type of anemia. There is something called the schilling test actually which checks vitamin B-12 absorption and can also determine if you have pernicious anemia. All of these are fairly standard lab procedures you could have done, but obviously if you can, the best idea is to avoid that scenario in the first place. You could go to a doctor and you can get a lab test done or you can just look at your dietary habits, see if you're having any problems, see if you're having any symptoms, or what I'm doing and what I recommend people do is just take a B-12 supplement which is what brings me to the next part of the presentation which is, "What is the best way to correct and avoid a B-12 deficiency?" Well, the best way to avoid a B-12 deficiency is to consume enough B-12. I personally recommend at least 1,000 to 2,000 micrograms a day. The only B-12 I would take is a B-12 supplement with the cofactors which is a combination of the methylcobalamin and the adenosylcobalamin. So where can you get get B-12? Well, one obvious answer like we talked about is food. Foods considered to be good sources of B-12 are beef liver. How many people that you know eat beef liver, red meat. Of course if it's medium or rare or something like that is probably going to have more B-12 in it because it's not cooked all the way through. Make sure it's organic. Dairy which I recommend, nobody eats dairy products because dairy is an inflammatory products which cause inflammation in the intestinal tract and may even harm the parietal cells which secrete intrinsic factor. But raw dairy is another– it would be something that some people might want to consider. Shellfish also contains B-12. So you have to decide for yourself whether or not to consume animal products, and if you do, that's your choice. That's fine. But I still with all the toxic chemicals and everything else, you're looking at even consuming animal products all day you probably still going to be vitamin B-12 deficient. Personally I avoid meat and dairy but that's something that I had problems with for a long period of time and I slowly eliminate it. Just make sure you only get organic grass fed meat or a dairy locally, sustainably raised and stuff like that. If you are a vegan or you are a vegetarian, there's definitely fewer options available for you. Now, a lot of the foods for vegans and vegetarians are fortified and even other foods are fortified with synthetic vitamin D. There's like soy which I highly recommend people avoid, and the fortification is done with cyanocobalamin. The cyanocobalamin is not the ideal form of B-12. The ideal form is the methylcobalamin or the adenosylcobalamin. Those are the only two co-factors of vitamin B-12. Those are what vitamin B-12 breaks down into the body. There's a lot of supplements out there that contain methylcobalamin. But the adenosylcobalamin is the other co-factor of B-12. Unfortunately the adenosylcobalamin is very, very expensive to put in in a nutritional supplement. So the perfect nutritional supplement would have a ratio of adenosylcobalamin and methylcobalamin in the same supplement. That's what we use and that's what I actually produced, even though the adenosylcobalamin is $14,000 - 15,000 a kilogram. But if I'm going to be taking something, I'm going to be taking the best and I'm going to be taking both of the co-factors. So there's really no question in my opinion that a B-12 supplement is the easiest way to consistently and reliably meet your B-12 requirements. A lot of people go in for B-12 injections. They take a pill, they take the sublingual drops. There's even B-12 patches available. So it doesn't matter whatever you choose to do, that's what you choose to do. You might just try to avoid the cyanocobalamin. There's really no denying the fast acting efficacy of a B-12 injection. Injections are great but if you don't like getting shots, or you don't have easy access to the doctor, they're not for everyone and what I found is they– I haven't found injectable B-12 that contains methylcobalamin and adenosylcobalamin. So that's why I feel like the liquid supplements are fast, easy, convenient, take a few drops. Take a drop for full, hold it under your tongue. Switch it around your mouth for 30 seconds or so, swallow it. I specially like the fact that the ones that contain vegetable glycerin. The glycerin actually protects the B-12 from some of the stomach acid. So you actually get that B-12 coming down into the small intestine. According to research at Texas A&M University, B-12 injections and B-12 supplements are equally effective. The Lancet which is the British medical journal even published information that cited oral B-12 supplementation as more tolerable than injections. Not much surprise that a swallow of liquid is easier to take than getting stuck with the needle. So like I said the best B-12 supplements on the market are going to contain a combination of the methylcobalamin and the adenosylcobalamin. That actually– not only that I'm saying that the National Institute of Health website says the exact same thing. That's what some doctors are recommending although it's very rare to kind of find a supplement that has both of those. So while we're talking about the absorption of B-12, it's probably a good time to mention the necessity of making sure your digestive system is in order because remember, we talked about before about the intricate process of what has to happen for your body to actually absorb the B-12, and how any kink in the digestive process can cause problems with B-12 absorption, and really nutrient absorption overall. So you can take all the B-12 in the world, but if you're not absorbing it, it doesn't matter. The answer to this is, is to strengthen your digestive system, heal your gut. Remove the inflammatory food from your diet. If you're consuming a lot of processed sugar, stop. If you're eating gluten, stop or just slowly reduce it over a period of time until you can stop. Another big thing is to avoid and stop eating genetically modified foods, that's going to be your corn, your soy, your beans. I mean a lot of things are genetically modified, and how to avoid? The easiest way is to just eat organic, certified organic foods. Those are study over 15 years ago that found the mice fed potatoes treated with the BT toxin is what they use in genetically modified foods had structural changes in the ileum, and that's where your B-12 is going to be absorbed. The ileum is the main– Well, it is the only in the major absorption side of B-12 before it releases into your system. So changes in the ileum structure will absolutely affect your B-12 status. If you're not eating probiotic foods, taking a probiotics supplement then something I highly recommend you start doing. That's not a replacement for B-12 supplementation but some probiotic bacteria particularly lactic acid bacteria play a role in production of B-12 in the guts. So kefir, kombucha tea, a good probiotic formula. Those are all really good to repair and strengthen your gut health. There was even a study in Stanford, they found if you take a probiotic supplement it greatly increase your B-12 levels and the absorption of B-12. Another thing that I always recommend that people can do to help reset their digestive system is to perform a series of body cleansing. Oxygen and intestinal cleansing and liver cleansing specially. If you've never done this, check out our nine-step body cleanse program on our website at GlobalHealingCenter.com. It can be a huge game changer for you. So anytime, really the one thing that I always talk about is activating your body's own self healing mechanism. 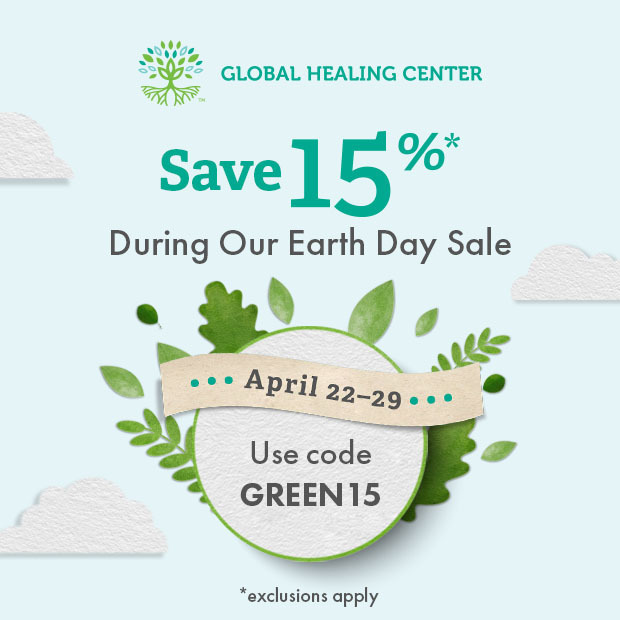 Creating a clean and green outside environment, breathing clean air, eating clean food, drinking clean water and avoiding all the toxic things that can come in to your life or into your mouth. So let's just do a little recap of what we've talked about. Vitamin B-12 is absolutely essential for your health. It doesn't only affect your energy levels but your cardiovascular health, your nervous system, your bones, your joints and specially your brain. Unlike other vitamins, absorbing B-12 requires that your digestive system and your liver are working efficiently, so that's another thing to consider. Is your digestive system healthy? Would you benefit from an intestinal cleanse? Are you getting enough probiotics? Are you getting enough enzymes? Have you performed a liver cleanse? Are you giving your liver regular nutritional support? So it's my opinion that the easiest surefire way to get your B-12 requirements is by regular supplementation with a high quality B-12 supplement, and when you're looking for one, make sure it contains the methylcobalamin and the adenosylcobalamin. I actually created the one called vegan safe B-12 but there's plenty of B-12 out there. The main thing is do your research, look at what is available. Take the information that I've given you today and expand upon it. Specially, I'd really like to hear from anybody who's dealt with B-12 deficiency. How they corrected it. The differences made in their lives. Please leave a comment at the bottom of this video. kIt's great feedback that'll help others and it adds to the conversation. So thanks for watching. Tune in for more great videos on our Youtube account at Global Healing Center or visit us online at GlobalHealingCenter.com, sign up for our newsletter, our blog and thanks for taking the time to watch this presentation today. Stabler, SP, and RH Allen. “Vitamin B12 Deficiency as a Worldwide Problem.” Annual Review of Nutrition., vol. 24, 11 June 2004, pp. 299–326. Accessed 3 Mar. 2017.